Block Island is located off the coast of Rhode Island, approximately 14 miles (23 km) east of Montauk Point, Long Island, and 13 miles (21 km) south from mainland Rhode Island, from which it is separated by Block Island Sound. It was named after Dutch explorer Adriaen Block. 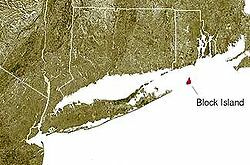 The United States Census Bureau defines Block Island as census tract 415 of Washington County, Rhode Island. As of the 2010 Census, the island's population is 1,051 living on a land area of 9.734 square miles (25.211 km2). The island is part of the Outer Lands region, a coastal archipelago. The Nature Conservancy added Block Island to its list of "The Last Great Places", which consists of 12 sites in the Western Hemisphere, and about 40-percent of the island is set aside for conservation. 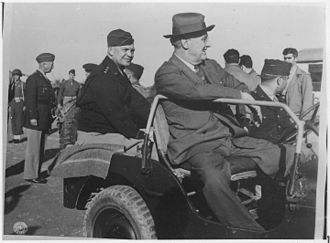 Presidents Bill Clinton, Dwight D. Eisenhower, Franklin Delano Roosevelt, and Ulysses S. Grant have visited Block Island. Other famous visitors include Amelia Earhart and Charles Lindbergh, who each visited the island in 1929. Block Island shares the same area as the town of New Shoreham, Rhode Island. The island is a popular summer tourist destination and is known for its bicycling, hiking, sailing, fishing, and beaches. It also hosts two historic lighthouses: Block Island North Light on the northern tip of the island, and Block Island Southeast Light on the southeastern side. Much of the northwestern tip of the island is an undeveloped natural area and resting stop for birds along the Atlantic flyway. Popular events include the annual Fourth of July Parade, celebration, and fireworks. During these times, the island's population can triple over the normal summer vacation crowd. Block Island was formed by the same receding glaciers that formed the Outer Lands of Cape Cod, the Hamptons, Martha's Vineyard and Nantucket during the end of the last ice age thousands of years ago. On this 1614 map, Block Island is named "Adrianbloxeyland"
The Niantic people called the island "Manisses" (meaning "Manitou's Little Island"), or just "Little Island". 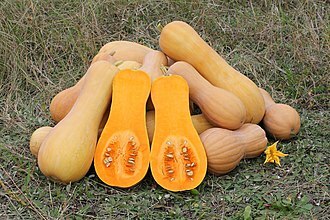 Archaeological sites indicate that these people lived largely by hunting deer, catching fish and shellfish, and growing corn, beans, and squash, presumably with the Three Sisters technique. They migrated from forest to coastal areas to take advantage of seasonal resources. One modern researcher has theorized that Indians may have established a settlement as early as 500 BC, although there is no consensus on that idea. Giovanni da Verrazzano sighted the island in 1524 and named it "Claudia" in honor of Claude, Duchess of Brittany, queen consort of France and the wife of Francis I. 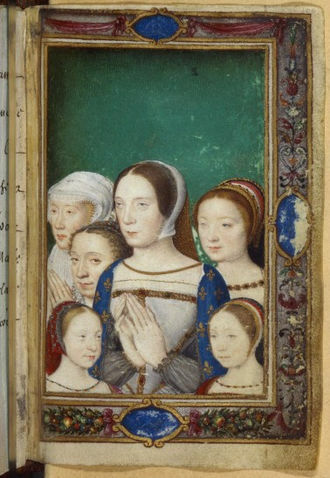 However, several contemporaneous maps identified the same island as "Luisa," after Louise of Savoy, the Queen Mother of France and the mother of Francis I. Verrazano's ship log stated that the island was "full of hilles, covered with trees, well-peopled for we saw fires all along the coaste." Almost 100 years later, Dutch explorer Adriaen Block charted the island in 1614; he simply named it for himself, and this was the name that stuck. The growing tensions among the tribes of the region in this time caused the Niantics to split into two divisions: the Western Niantics, who allied with the Pequots and Mohegans, and the Eastern Niantics, who allied with the Narragansetts. In 1632, Indians (likely Western Niantics associated with the Pequots) killed colonial traders John Stone and Walter Norton, and the Pequots of eastern Connecticut were blamed. A Pequot delegation presented magistrates in Boston with two bushels of wampum and a bundle of sticks representing the number of beavers and otters with which they would compensate the colonists for the deaths. They sought peace with the colonies and also requested help establishing concord with the Narragansetts, who bordered them to the east. The colonial authorities, in turn, demanded the Indians responsible for killing Stone and Norton, a promise not to interfere with colonial settlement in Connecticut, and 400 fathoms of wampum and the pelts of 40 beavers and 30 otters. In 1636, John Gallup came across the boat of trader John Oldham, a noted troublemaker. Oldham had flirted with impropriety since the day that he landed on American soil. Not long after arriving in Plymouth in 1623, he "grew very perverse and showed a spirit of great malignancy," according to Plymouth Colony Governor William Bradford. He was later accused of religious subversion and responded with impertinence, hurling invective at his accusers and even drawing a knife on Captain Myles Standish. He was banished from Plymouth and fled to Massachusetts Bay, settling first in Nantasket, then Cape Ann, and finally Watertown, where he continued to indulge his penchant for mayhem. 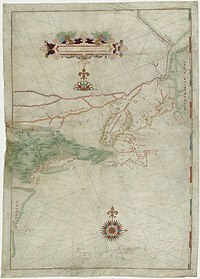 Despite his unsavory reputation, Massachusetts Bay sought his extensive knowledge of the New England coast when they asked him to retrieve a hefty ransom on the colony's behalf. It was on this mission that Oldham was murdered and dismembered. Massachusetts sent ninety men to Block Island in August under John Endicott on a punitive expedition for Oldham's murder with instructions to kill every Niantic warrior and capture the women and children, who would be valuable as slaves. The expedition was ordered by Massachusetts Governor Henry Vane to "massacre all of the Native men on the island". The English burned sixty wigwams and the corn fields. 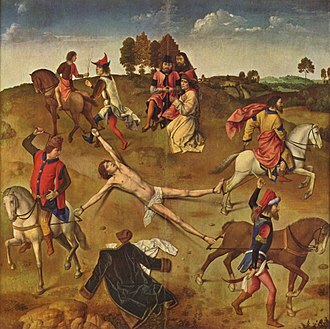 They also shot every dog, but the Niantics fled into the woods, and the soldiers only managed to kill fourteen of them. Deciding that this punishment was insufficient, Endicott and his men sailed over to Fort Saybrook before going after the Pequot village at the mouth of the Thames River to demand one thousand fathoms of wampum to pay for the murder. They took some Pequot children as hostages to insure peace, and these incidents are seen as the initial events that led to the Pequot War. Massachusetts Bay Colony claimed the island by conquest. In 1658, the colony sold the island to a group of men headed up by Endecott. In 1661, the Endecott group sold the island to a party of twelve settlers that later grew to sixteen (of whom only seven actually settled here) led by John Alcock, who are today memorialized at Settler's Rock, near Cow's Cove. In 1663, island settler Thomas Terry gave six acres of land at the island's largest fresh pond and its surrounding area to four "chief sachems". Their names were recorded as Ninnecunshus, Jaguante, Tunkawatten, and Senatick, but they were known by the colonists as Mr. Willeam, Repleave (Reprive), and Soconosh. This land was given to "them being the Cheife Sachems upon the Island there Heires & Assignes Forever to plant and Improve". This land was then known as the Indian Lands. The Sachems called the Fresh Pond Tonnotounknug. In 1664, Indians on the island numbered somewhere from 1,200 to 1,500. By 1774, that number had been reduced to fifty-one. A Dutch map of 1685 clearly shows Block Island, indicated as Adriaen Blocks Eylant ("Adrian Block's Island"). In the late seventeenth century, an Englishwoman called New England's first woman doctor lived on Block Island. Her name was Sarah Sands née Walker and she has also been suggested as a very early abolitionist. She married sea captain James Sands (one of the original sixteen, as recorded by Settler's Rock) in 1645 and had possibly six children, including a daughter named Mercy, born 1663. In 1699, Scottish sailor William Kidd visited Block Island, shortly before he was hanged for piracy. At Block Island, he was supplied by Mercy Sands (then Mrs. Raymond). The story has it that, for her hospitality, Kidd bade Mrs. Raymond to hold out her apron, into which he threw gold and jewels until it was full. After her husband Joshua Raymond died, Mercy moved with her family to what would become the Raymond-Bradford Homestead in northern New London, Connecticut (later Montville) where she bought much land. The Raymond family was thus said to have been "enriched by the apron". Mercy Sands died at Lyme in 1741. Block Island was incorporated by the Rhode Island general assembly in 1672, and the island government adopted the name "New Shoreham." Southeast Light is a Block Island landmark. American Baptist-affiliated Harbor Church is perched high on a hill on the western side of New Shoreham. The building was reconstructed from the former Adrian Hotel and was included in the National Register of Historic Places in 1974 as part of Old Harbor Historic District in New Shoreham. During the War of 1812, the island was briefly occupied by the British Navy under the command of Sir Thomas Hardy. British vessels included HMS Dispatch, HMS Terror, HMS Nimrod, HMS Pactolus, and HMS Ramillies. Hardy took the fleet to Block Island in search of food and to establish a strategic position at the mouth of Long Island Sound. The British were enraged to discover that nearly all Block Island livestock and food stores had been transferred to Stonington, Connecticut in advance of their arrival. On August 9, 1814, Hardy and his fleet departed Block Island for Stonington Harbor in part to lay claim to the Block Island food stores and livestock. Hardy's pre-dawn raid on August 10 was repulsed with damage to his fleet in a battle that has since become known as the Battle of Stonington. The original North Lighthouse was built in 1829, but it was replaced in 1837 after the original was washed out to sea. The ocean claimed the replacement lighthouse also, and the lighthouse that can be seen today was constructed in 1867. Construction began on Block Island's Southeast Lighthouse a few years later in 1873. Block Island has no natural harbors; breakwaters were constructed in 1870 to form Old Harbor. New Harbor was created in 1895 when a channel was dug to connect the Great Salt Pond to the ocean through the northwestern side of the island. The Island Free Library was established in 1875 and is Block Island's only public library. Isaac Church was the Island's last recorded full-blooded Manisses Indian; he died in 1886 at age 100. He was survived by one son and one daughter whose descendants still reside in Rhode Island today. The landmark Isaac's Corner is named in honor of him, located at the intersection of Center Road, Lakeside Drive, and Cooneymus Road. Isaac is buried to the east of the four corners in the Historical Indian Burial Ground. In 2011, the Block Island Historical Society dedicated the Block Island Manissean Ancestral Stone. In attendance at the unveiling ceremony were descendants of the Manisses Indians, with Tiondra White Rapids Martinez, a direct descendant of Isaac Church, opening the ceremony in their native tongue. Block Island was devastated by the 1938 New England hurricane. Many islanders and tourists lost their lives during storm surge flooding. During World War II, several artillery spotters were located on the island to direct fire from the heavy gun batteries at Fort Greene in Point Judith which protected the entrance to Narragansett Bay. Lookout positions for the spotters were built to look like houses. 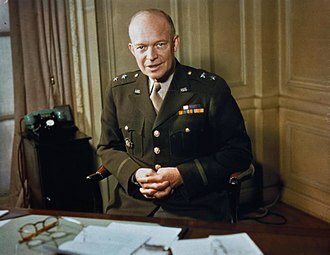 The US government offered to evacuate the island, as it could not be effectively defended from enemy invasion. However, the islanders chose to stay. Days before the war ended against Germany, the Battle of Point Judith took place seven miles to the northeast of the island. Block Island's weather is greatly influenced by the surrounding ocean and prevailing winds that generally blow offshore. The climate is oceanic (Köppen Cfb), a rarity on an east coast island in the Northern Hemisphere. Because the ocean stays cold during the spring and summer months, Block Island stays cooler than the mainland during this period. Summers are also cooler than the mainland; July and August average in the mid-and upper 70s instead of low and mid-80s that New York and southern New England experience. Block Island's record high temperature is 95 °F (35 °C) on August 26 and 27, 1948 and the record low is −7 °F (−22 °C) on January 16, 1994. The lowest high temperature on record was 8 °F (−13 °C) on December 31, 1962 and January 8, 1968, and the highest low temperature on record was 76 °F (24 °C) on August 2, 1979. Block Island stays warmer than the mainland during the fall and winter months when the ocean remains relatively warmer than the mainland. New Shoreham is a town in Washington County, Rhode Island which is coextensive with Block Island. The town was named for Shoreham, Kent in England. Harbor Church was founded on October 23, 1765 and is located at 21 Water Street in New Shoreham. The population was 1,051 at the 2010 census, making it the least-populous municipality in the state. According to the Census Bureau, it has a total area of 109.5 square miles (284 km2), of which 9.7 square miles (25 km2) is land and 99.8 square miles (258 km2) (91.11%) is water. As of the census of 2000, there were 1,010 people, 472 households, and 250 families residing in the town. The population density was 103.8 people per square mile (40.1/km²). There were 1,606 housing units at an average density of 165.0 per square mile (63.7/km²). The racial makeup of the town was 97.82% White, 0.59% African American, 0.79% Asian, 0.30% from other races, and 0.50% from two or more races. Hispanic or Latino of any race were 1.19% of the population. There were 472 households out of which 21.4% had children under the age of 18 living with them, 43.4% were married couples living together, 7.2% had a female householder with no husband present, and 47.0% were non-families. 35.0% of all households were made up of individuals and 12.9% had someone living alone who was 65 years of age or older. The average household size was 2.13 and the average family size was 2.82. In the town, the population was spread out with 18.3% under the age of 18, 4.7% from 18 to 24, 31.1% from 25 to 44, 28.6% from 45 to 64, and 17.3% who were 65 years of age or older. The median age was 43 years. For every 100 females, there were 95.0 males. For every 100 females age 18 and over, there were 95.5 males. The median income for a household in the town was $44,779, and the median income for a family was $59,844. Males had a median income of $39,432 versus $28,125 for females. The per capita income for the town was $29,188. About 8.0% of families and 7.9% of the population were below the poverty line, including 10.2% of those under age 18 and 9.7% of those age 65 or over. One of the most popular celebrations on the island is the Fourth of July Parade. Anybody can enter a float into the parade, as long as it coordinates with the theme of that respective year. For example, the theme in 2016 was sports and recreation. In addition to the parade, there is a fireworks display on the beach on the night of July 3. The parade is on the fourth and is judged by officials who give out prizes in three categories: family floats, company floats, and overall floats. They also give out one extra prize for the overall category which is the grand prize, consisting of $500. Every summer, the island hosts Block Island Race Week, a competitive, week-long sailboat race. On odd years, the event is held by the Storm Trysail Club, and on even years by the Block Island Race Week. Yachts compete in various classes, sailing courses in Block Island Sound and circumnavigating the island. Harborside Inn is a restaurant and hotel on the south side of Block Island. Boating is popular around Block Island. Southeast Lighthouse is located at the southeast corner of the island on the Mohegan Trail. The lighthouse was constructed in 1875 and remains to this day an active US Coast Guard navigational aid. The lighthouse was moved in 1993, in danger of falling off the bluffs due to erosion. In addition to offering tours of the tower, the lighthouse has a museum that is open during the summer season. The Mohegan Bluffs are located a short distance to the west of Southeast Lighthouse. The bluffs are the site of a pre-colonial battle between the invading Mohegan, and the native Niantic in which the Mohegan were driven off the edge of the tall cliffs to their deaths on the beach below. A long staircase of over one hundred stairs leads to the bottom of these clay cliffs and looks out over the Atlantic. On clear days, Montauk, New York can be seen in the distance from the southern and western sides of the island. Rodman's Hollow is a 230-acre (93 ha) glacial outwash basin, near the southern shore of the island. The hollow has several walking trails. Horseback rides through Rodman's Hollow are also offered. 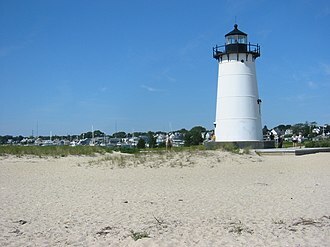 North Lighthouse is located at Sandy Point on the northern tip of Block Island. The North Lighthouse warns boaters of a sandbar extending from this end of the island. The surrounding dunes are part of the Block Island National Wildlife Refuge, home to many species, including the piping plover and American burying beetle. A short walk away from the North Lighthouse lies the tip of the island, with ocean on both sides of a thin strip of land. The Block Island Historical Society Museum is located near the downtown area and contains a broad array of Block Island artifacts. U-853 is a U-boat wreck 7 miles (11 km) east of the island, lying in 130 ft (40 m) of water. Recreational divers frequently visit the wreck, though at least three have died there. The Block Island Wind Farm, the first offshore wind farm built in the United States, is located 3 miles (4.8 km) from south-east of the island. The five turbines, each 600 ft (180 m) high, commenced commercial operation in December 2016. The island has at least 50 restaurants, but most are closed outside of tourist season; mainland restaurants use New England Airlines to deliver food to the island. Settler's Rock is the most northerly part of Block Island accessible to motorists. There are 17 miles of beach on Block Island. Crescent Beach can be viewed from the Pt. Judith Ferry and the New London Express Ferry on the way to the island. It contains five smaller beaches: Fred Benson Town Beach (popularly known as State Beach), Surf Beach, Scotch Beach, Rouse's Beach, and Mansion Beach, all of which are located on Corn Neck Road. North of Mansion Beach are Clayhead and Pots & Kettles. Clayhead is a set of cliffs which can be seen from the ferry in from Point Judith or New London. This area is rocky and contains iron-rich clay deposits, and is a popular area for shell and rock hunting. Cow Cove, Settler's Rock, and Sandy Point make up the northernmost point of Block Island where the North Lighthouse is located. Settler's Rock is located at Cow Cove, where the settlers landed and swam to shore bringing with them the island's first cows, which they pushed off the boats and forced ashore. Attached to the rock is a plaque naming the original settlers of Block Island. Coastguard Beach (or "the channel") is situated between the Great Salt Pond and the ocean on the north west side of the island. Ballard's Beach is on the south side of the Block Island Ferry Dock and jetty. Bluffs Beach (or Vail) is set at the bottom of Mohegan Bluffs. Block Island also hosts an office of The Nature Conservancy. The Conservancy named Block Island as one of its top 12 sites in the Western Hemisphere, and a large portion of the island is legally protected and set aside for conservation. The island is connected year-round by a ferry to Point Judith, and in summer to New London, Connecticut, Orient Point, New York, Montauk, New York, and Newport, Rhode Island. The traditional ferry takes about an hour to reach the island from Point Judith. A high-speed ferry on the same route takes 35 minutes, and another high-speed ferry from New London takes just over an hour. New England Airlines offers regularly scheduled 12-minute flights to Block Island State Airport from Westerly, Rhode Island. The island airport is used by New England Airlines and privately owned aircraft. It is officially called Block Island State (code: BID) and has a single, paved 2,501-foot-long runway, in an east–west orientation. The airport elevation is 108 ft (33 m) above sea level and the terminal is about one mile from the town center. This house was formerly the US Weather Bureau Station on Block Island. On August 26, 1995, a Cessna 185 seaplane carrying four people crashed while attempting to land in the waters off Old Harbor Beach, an area not normally used for seaplane landings. The plane cleared a dune but hit a power line, causing it to crash into a restaurant and hit a car at the island's only gas station. All four people on the plane perished, as well as a woman who was sitting in her car as it was being fueled. The restaurant was destroyed by the impact of the plane and resulting fire. On July 5, 2006, a plane carrying three people crashed ½ mile west of the airport during bad weather. The aircraft had just taken off and was on its way to White Plains, New York. The area around Block Island has been the site of numerous shipwrecks, including the Steamer Larchmont in 1907. The 1738 wreck of the Princess Augusta (also known as the Palatine ship) was later immortalized by John Greenleaf Whittier in his 1867 poem "The Wreck of the Palatine." In 1877, the freighter Achilles struck a submerged rock off the island and ran aground. In 1992, the Cunard liner Queen Elizabeth 2 struck a submerged rock. Two submarines also sank off of Block Island: USS S-51 in 1925, and German submarine U-853 in 1945. Tad Devine (b. 1955), American political consultant. Senior adviser in Al Gore's 2000, John Kerry's 2004, and Bernie Sanders' 2016 presidential campaigns. Richard Parsons (b. 1948), an American business executive, former chairman of Citigroup, and the former chairman and CEO of Time Warner. ^ "One of the last great places". Providence Journal, projo.com. 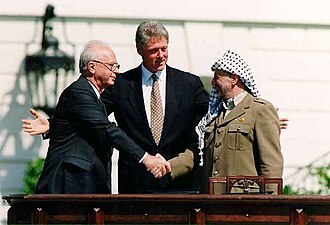 June 9, 2005. Retrieved 2007-10-01. ^ "Clinton Barnstorms Block Island". Providence Journal, projo.com. 1997-08-18. Retrieved 2010-03-23. ^ "Block Island National Wildlife Refuge". United States Fish and Wildlife Service. Retrieved 2014-10-02. ^ The Niantic people eventually merged with the Narragansett people. ^ "Since Denali got its real name back, should Block Island be next?". 31 August 2015. ^ "Block Island - island, Rhode Island, United States". ^ "The Pages of Shades : Native Americans". Archived from the original on 2010-09-26. Retrieved 2010-02-27. 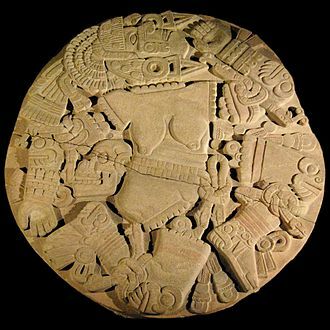 ^ "The first winters: what archeologists have found". ^ "History of the Mohegans". Niantic. ^ Sawyer, Joseph Dillaway (1 January 1922). History of the Pilgrims and Puritans: Their Ancestry and Descendants; Basis of Americanization. Century History Company. pp. 18–25 – via Google Books. ^ Zinn, Howard (4 February 2003). "A People's History of the United States: 1492-Present". Harper Collins. p. 16 – via Google Books. ^ Caulkins, Frances Manwaring (1895). History of New London, Connecticut. p. 293. ^ De Kay, Tertius (1990). 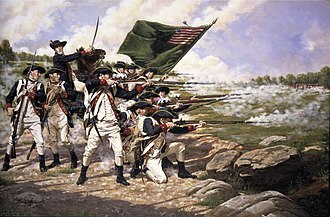 The Battle of Stonington. p. 293. ^ a b "Historic Light Station Information and Photography: Rhode Island". United States Coast Guard Historian's Office. Retrieved October 23, 2007. ^ Coni Dubois (30 June 2011). "Unveiling of Ancestral/Descendant Stone for the Block Island Indian's - Part 1" – via YouTube. ^ "RI BLOCK ISLAND STATE AP". National Oceanic and Atmospheric Administration. Retrieved June 20, 2013. ^ "Block Island State AP, Rhode Island". Western Regional Climate Center. Retrieved June 20, 2013. ^ "History of Harbor Church". harborchurchblockisland.org. Retrieved July 30, 2014. ^ "Rodman's Hollow". nature.org. Archived from the original on 2007-10-10. Retrieved 2007-10-05. ^ "Block Island National Wildlife Refuge". fws.gov. Retrieved 2007-10-05. ^ "Probe into scuba instructor death could take two months". cdnn.info. Retrieved 2007-07-23. ^ "First Offshore Wind Farm In The U.S. Kicks Off Construction". ThinkProgress. Retrieved 30 April 2015. ^ "Clean energy is just over the horizon". Deepwater Wind. Retrieved 30 April 2015. ^ "Block Island Wind Farm". Deepwater Wind. Retrieved 30 April 2015. ^ Alex Kuffner Journal Staff Writer. "Deepwater Wind completes financing for Block Island wind farm". providencejournal.com. Retrieved 30 April 2015. ^ Frangoul, Anmar (13 December 2016). "America's first offshore wind farm is up and running". ^ a b Passy, Charles (2015-08-26). "Meet the Pilot Who Doubles as Block Island's Chinese-Food Delivery Guy". The Wall Street Journal. pp. A1. Retrieved 26 August 2015. ^ "Staff List for the Rhode Island Chapter's Block Island Office". The Nature Conservancy. Archived from the original on 2015-02-20. Retrieved February 19, 2015. ^ "New England Airlines". users.ids.net. Archived from the original on 2007-11-17. Retrieved 2007-12-12. ^ Times, Special To The New York (13 February 1907). "PROBABLY 150 LOST IN WRECK; Joy Line Steamer Larchmont Sunk; Only Nineteen Known Survivors. MANY DIED IN BOATS Scores, Lightly Clad, Faced Icy Gale -- Two Committed Suicide. SUNK BY A SCHOONER Coal-Laden Craft Rammed Its Bow Deep Into Steamer. CARE FOR WOMEN FIRST All Boats Launched Before Captain Left -- He Blames the Schooner's Men" – via NYTimes.com. ^ British Admiralty. The Mariner's Handbook. 1999 edition, page 23. ^ Martin, Douglas (August 15, 2009). "K. H. Bacon, an Advocate For Refugees, Is Dead at 64". The New York Times. Retrieved August 16, 2009. ^ Freedlander, David (15 February 2016). "Bernie's man behind the scenes: Tad Devine is the Karl Rove to Sanders' 2016 populist uprising". Salon.com. Retrieved 18 February 2016. ^ Whitman, Herbert S. (1982). Elizabeth Dickens: The Bird Lady of Block Island. Still Pond Press. ^ Bernard, Sarah (3 June 2002). "Travel: Summer 2002 Getaways: Block Island, Rhode Island". New York Magazine. Retrieved 18 February 2016. ^ "Richard Parsons named CEO of Clippers". Block Island Times. 10 May 2015. Retrieved 18 February 2016. Wikimedia Commons has media related to Block Island. Cape Ann is a rocky cape in northeastern Massachusetts, United States on the Atlantic Ocean. It is about 30 miles northeast of Boston and marks the limit of Massachusetts Bay. Cape Ann includes the city of Gloucester and the towns of Essex, Manchester-by-the-Sea, Cape Ann was first mapped by the explorer John Smith. He had given it the name Cape Tragabigzanda, after his mistress in Istanbul and he had been taken as a prisoner of war and enslaved in the Ottoman Empire. His mistress had fallen in love him, but Smith escaped in Russia. When Smith presented his map to Charles I, he suggested that Charles should feel free to any of the barbarous names into English ones. The king made such changes, but only four survive today. One was Cape Ann, which Charles named in honor of his mother Anne of Denmark, the English colony at Cape Ann was first founded in 1623. It was the colonizing effort in New England after Popham Colony, Plymouth Colony. Two ships of the Dorchester Company brought 32 in number with John Tylly and Thomas Gardner as overseers of a fishing operation and this colony predated Massachusetts Bay charter and colony. For that reason, members of the colony were referred to as old planters, the first Great House in New England was built on Cape Ann by the planters. This house was dismantled on the orders of John Endecott in 1628, when Higginson arrived in Salem, he wrote that we found a faire house newly built for the Governor which was remarkable for being two stories high. By 1634 the name of Cape Ann was already established, as it is mentioned and depicted on maps in William Woods New Englands Prospect first published in that year, the entirety of Cape Ann lies within Essex County. At the end of Cape Ann, and splitting Gloucester into two parts, is the Annisquam River, many locals who live in Gloucester and Rockport refer to the land east of the Annisquam as The Island. The island has its own schools, water supply and its own hospital, Cape Ann is the location of the fictional town of Sea Harbor, the setting of the Seaside Knitters mysteries by author Sally Goldenbaum. Sea Harbor is on the coast, with Gloucester as its nearest neighbor town, Cape Ann is featured as the setting for the Harry Chapin song Dogtown, which is the name for an abandoned town on the Cape. New London is a seaport city and a port of entry on the northeast coast of the United States. It is located at the mouth of the Thames River in New London County, for several decades beginning in the early 19th century, New London was one of the worlds three busiest whaling ports, along with Nantucket and New Bedford, Massachusetts. The wealth that whaling brought into the city furnished the capital to fund much of the present architecture. New London subsequently became home to shipping and manufacturing industries. New London is now known in Connecticut for its wealth of art. The city is home to the United States Coast Guard Academy, Connecticut College, Mitchell College, the Coast Guard Station New London and New London Harbor is home port to the U. S. Coast Guard Cutter Chinook and the Coast Guards tall ship Eagle. New London had a population of 27,620 at the 2010 census, the Norwich-New London metropolitan area includes twenty-one towns and 274,055 people. The area was called Nameaug by the Pequot Indians, John Winthrop, Jr.
founded the first English settlement here in 1646, making it about the 13th town settled in Connecticut. Inhabitants informally referred to it as Nameaug or as Pequot after the tribe, in the 1650s, the colonists wanted to give the town the official name of London after London, but the Connecticut General Assembly wanted to name it Faire Harbour. The citizens protested, declaring that they would prefer it to be called Nameaug if it couldnt be officially named London, the legislature relented, and the town was officially named New London on March 10,1658. The harbor was considered to be the best deep water harbor on Long Island Sound, famous New Londoners during the American Revolution include Nathan Hale, William Coit, Richard Douglass, Thomas & Nathaniel Shaw, Gen. Samuel Parsons, printer Timothy Green, and Samuel Seabury. It is often noted that this raid on New London and Groton was intended to divert General Washington, the main defensive fort for New London was Fort Griswold, located across the Thames River in Groton. Cape Cod is a geographic cape extending into the Atlantic Ocean from the southeastern corner of mainland Massachusetts, in the northeastern United States. Its historic, maritime character and ample beaches attract heavy tourism during the summer months, as defined by the Cape Cod Commissions enabling legislation, Cape Cod is conterminous with Barnstable County, Massachusetts. It extends from Provincetown in the northeast to Woods Hole in the southwest, since 1914, Cape Cod has been separated from the mainland by the Cape Cod Canal. The canal cuts 17.5 miles roughly across the base of the peninsula, though portions of the Cape Cod towns of Bourne. Two highway bridges cross the Cape Cod Canal, the Sagamore Bridge, in addition, the Cape Cod Canal Railroad Bridge carries railway freight and limited passenger services onto the Cape. Cape territory is divided into fifteen towns with many villages, like Cape Cod itself, the islands south of the Cape have evolved from whaling and trading areas to become resort destinations, attracting wealthy families and other tourists. Both islands are famous summer tourist destinations, commonly accessed by ferry from several locations on the cape, the phrases Cape Cod and the Islands and the Cape and Islands are often used to describe the whole region of Barnstable County, Dukes County, and Nantucket County. Several small islands right off Cape Cod, including Monomoy Island, Monomoscoy Island, Popponesset Island, the Forbes family-owned Naushon Island was first purchased by John Murray Forbes. Naushon is one of the Elizabeth Islands, many of which are privately owned, one of the publicly accessible Elizabeths is the southernmost island in the chain, with a year-round population of 52 people. Cape Cod in particular is a retirement area,27. 8% of the population of Barnstable County is 65 years old or older. And the average age of residents is the highest of any area in New England, by voter registration numbers, Democrats outnumber Republicans by less in the three counties than in the whole of Massachusetts, to varying degrees. The name Cape Cod, as it was first used in 1602 and it remained that way for 125 years, until the Precinct of Cape Cod was incorporated as the Town of Provincetown. No longer in use over the ensuing decades, the name came to mean all of the land east of the Manomet and Scusset rivers – essentially along the line that became the Cape Cod Canal. The creation of the canal separated the majority of the peninsula from the mainland, most agencies, including the Cape Cod Commission and the Federal Emergency Management Agency, treat the Cape as an island with regard to disaster preparedness, groundwater management, and the like. 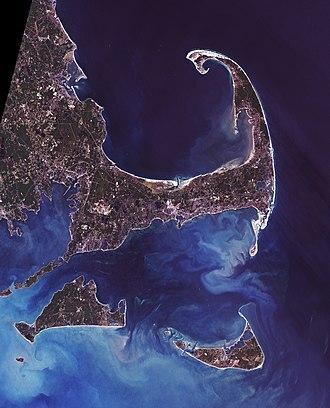 Cape Cod Bay lies in between Cape Cod and the mainland – bounded on the north by a line between Provincetown and Marshfield. North of Cape Cod Bay is Massachusetts Bay, which contains the Stellwagen Bank National Marine Sanctuary, the Atlantic Ocean is to the east of Cape Cod, and to the southwest of the Cape is Buzzards Bay. The Cape Cod Canal, completed in 1916, connects Buzzards Bay to Cape Cod Bay, Cape Cod extends 65 miles into the Atlantic Ocean, with a breadth of between 1–20 miles, and covers more than 400 miles of shoreline. Amelia Mary Earhart was an American aviation pioneer and author. Earhart was the first female aviator to fly solo across the Atlantic Ocean, distinguished Flying Cross for this accomplishment. She set many records, wrote best-selling books about her flying experiences and was instrumental in the formation of The Ninety-Nines. 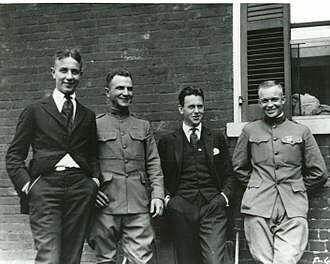 In 1935, Earhart became a faculty member at Purdue University as an advisor to aeronautical engineering. She was a member of the National Womans Party and a supporter of the Equal Rights Amendment. During an attempt to make a flight of the globe in 1937 in a Purdue-funded Lockheed Model 10 Electra. Fascination with her life and disappearance continues to this day, Earhart was the daughter of Samuel Edwin Stanton Earhart and Amelia Amy. Amelia was the child of the marriage, after an infant stillborn in August 1896. She was of part German descent, alfred Otis had not initially favored the marriage and was not satisfied with Edwins progress as a lawyer. According to family custom, Earhart was named after her two grandmothers, Amelia Josephine Harres and Mary Wells Patton, from an early age, nicknamed Meeley was the ringleader while her younger sister, Grace Muriel Earhart, nicknamed Pidge, acted the dutiful follower. Both girls continued to answer to their childhood nicknames well into adulthood and their upbringing was unconventional since Amy Earhart did not believe in molding her children into nice little girls. A spirit of adventure seemed to abide in the Earhart children, as a child, Earhart spent long hours playing with sister Pidge, climbing trees, hunting rats with a rifle and belly-slamming her sled downhill. Although this love of the outdoors and rough-and-tumble play was common to many youngsters, the girls kept worms, katydids and a tree toad in a growing collection gathered in their outings. In 1904, with the help of her uncle, she cobbled together a home-made ramp fashioned after a roller coaster she had seen on a trip to St. Louis, Earharts well-documented first flight ended dramatically. She emerged from the wooden box that had served as a sled with a bruised lip, torn dress. She exclaimed, Oh, its just like flying, although there had been some missteps in his career up to that point, in 1907 Edwin Earharts job as a claims officer for the Rock Island Railroad led to a transfer to Des Moines, Iowa. The Town of Watertown is a city in Middlesex County, United States. It is part of the Greater Boston area, the population was 31,915 at the 2010 census. Watertown is one of fourteen Massachusetts municipalities that have applied for, Watertown is made up of six neighborhoods, Brigham, Coolidge Square, East Watertown, Watertown Square and the West End. 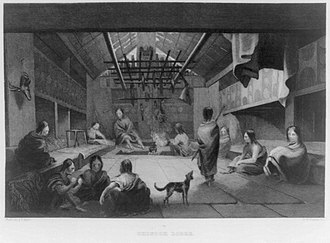 Archeological evidence suggests that Watertown was inhabited for thousands of years before the arrival of settlers from England, two tribes of Massachusett, the Pequossette and the Nonantum, had settlements on the banks of the river called the Charles. The Pequossette built a weir to trap herring at the site of the current Watertown Dam. The annual fish migration, as both alewife and blueback herring swim upstream from their home in the sea to spawn in the fresh water where they were hatched. Watertown, first known as Saltonstall Plantation, was one of the earliest of the Massachusetts Bay settlements and it was begun early in 1630 by a group of settlers led by Richard Saltonstall and George Phillips and officially incorporated that same year. The alternate spelling Waterton is seen in early documents. The first buildings were upon land now included within the limits of Cambridge known as Gerrys Landing, for its first quarter century Watertown ranked next to Boston in population and area. Since its limits have been greatly reduced, thrice portions have been added to Cambridge, and it has contributed territory to form the new towns of Weston, Waltham and Belmont. As early as the close of the 17th century, Watertown was the horse and cattle market in New England and was known for its fertile gardens. Here about 1632 was erected the first gristmill in the colony, the Massachusetts Provincial Congress, after adjournment from Concord, met from April to July 1775 in the First Parish Church, the site of which is marked by a monument. The Massachusetts General Court held its sessions here from 1775 to 1778, committees met in the nearby Edmund Fowle House. Boston town meetings were held here during the siege of Boston, from 1832 to 1834 Theodore Parker conducted a private school here and his name is still preserved in the Parker School, though the building no longer operates as a public school. Territory claimed but never administered by the colonial government extended as far west as the Pacific Ocean. The earlier Dutch colony of New Netherlands disputed many of these claims, arguing that they held rights to lands beyond Rhode Island up to the side of Cape Cod. The Massachusetts Bay Colony began in 1628 and was the second attempt at colonization. 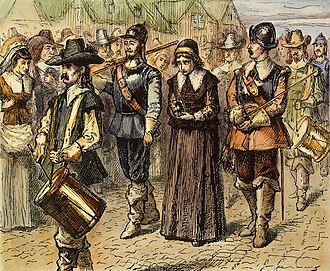 The colony was successful, with about 20,000 people migrating to New England in the 1630s, the population was strongly Puritan, and its governance was dominated by a small group of leaders who were strongly influenced by Puritan religious leaders. 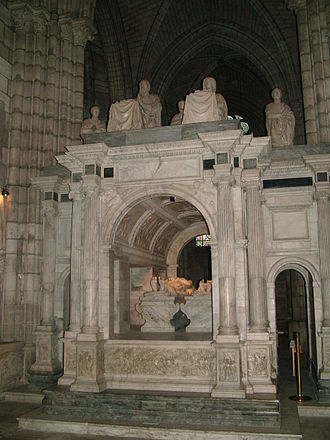 Its governors were elected, and the electorate were limited to freemen who had been examined for their religious views, as a consequence, the colonial leadership exhibited intolerance to other religious views, including Anglican and Baptist theologies. The colonists initially had decent relationships with the local Indian populations and these led first to the Pequot War and to King Philips War, after which most of the Indians in southern New England made peace treaties with the colonists. The colony was successful, engaging in trade with England. A shortage of currency in the colony prompted it to establish a mint in 1652. Political differences with England after the English Restoration led to the revocation of the charter in 1684. King James II established the Dominion of New England in 1686 to bring all of the New England colonies under firmer crown control, Sir William Phips arrived in 1692 bearing the charter and formally took charge of the new province. The political and economic dominance of New England by the state of Massachusetts was made possible in part by the early dominance in these spheres by the Massachusetts Bay colonists. The total Indian population in 1620 has been estimated to be 7,000 with the population of New England at 15–18,000, the land-use patterns of the natives included plots cleared for agricultural purposes, and woodland territories for the hunting of game. Land divisions between the tribes were well understood, during the early 17th century, several European explorers charted the area, including Samuel de Champlain and John Smith. Block Island Southeast Light is a lighthouse located on Mohegan Bluffs at the southeastern corner of Block Island, Rhode Island. It was designated a U. S. National Historic Landmark in 1997 as one of the most architecturally sophisticated lighthouses built in the United States in the 19th century. Although Congress appropriated $9,000 to build this light in 1856 and this light was finally built in 1874, with the lamp first lit on February 1,1875. It is an expression of the Gothic Revival executed in brick, and was a marked contrast to earlier lighthouses. The main tower is 67 feet in height, with a granite foundation and brick exterior. This is topped by a sixteen-sided pyramidal copper roof with a ball ventilator, the original roof was cast iron, and was replaced in 1994. The keepers house is attached to the tower by a 1-1/2 story connecting wing and it is a 2-1/2 story brick structure with identical projecting 1-1/2 story kitchen wings at its rear, and a steeply-pitched gable roof with windows extending into the roofline. There are porches on either side of the connector, one for each of the two dwellings in the building, which were originally identical and that on the southwest side has retained original trim, which includes beveled, bracketed posts. The north wing was designated for the keeper, while the wing was for his assistants. The only major alterations to the residences have been for the introduction of modern plumbing, the roof was originally shingled, and since been covered by a variety of materials, most recently slate shingles. The original optic was a first order Fresnel lens standing about 12 feet tall with four circular wicks burning lard oil, the lard oil was replaced by kerosene in the 1880s. The lens was modified in 1929 to rotate floating on a pool of mercury, at first driven by a clockwork mechanism, in 1990, the Coast Guard deactivated the light and replaced it with a nearby steel tower. Because of ongoing erosion of the bluffs, in 1993 the entire 2,000 ton structure was moved about 300 feet back from the cliffs, ownership of the lighthouse was transferred in 1992 to the Southeast Lighthouse Foundation, which is dedicated to its preservation. Giovanni da Verrazzano was an Italian explorer of North America, in the service of King Francis I of France. It is generally claimed that he was born in the Castello di Verrazzano, whatever the case, writes Ronald S. Love, Verrazzano always considered himself to be Florentine, and he was considered a Florentine by his contemporaries as well. He signed documents employing a Latin version of his name—“Janus Verrazanus”—and he called himself “Jehan de Verrazane” in his will dated 11 May 1526 in Rouen, Verrazzano left a detailed account of his voyages to North America, but little is known about his personal life. After 1506, he settled in the port of Dieppe in France and he embarked for the American coast, probably in 1508 in the company of captain Thomas Aubert, on a ship called La Pensée, equipped by ship owner Jean Ango. He explored the region of Newfoundland, possibly during a fishing trip, in September 1522, the surviving members of Ferdinand Magellan’s crew returned to Spain, having circumnavigated the globe. Competition in trade was becoming urgent, especially with Portugal, within months, four ships set sail due west for the Grand Banks of Newfoundland, but a violent storm and rough seas caused the loss of two ships. The remaining two damaged ships, La Dauphine and La Normande, were forced to return to Brittany, repairs were completed in the final weeks of 1523, and they set sail again. This time, the ships headed south toward calmer waters, which were under dangerous Spanish and it neared the area of Cape Fear on about March 1 and, after a short stay, reached the Pamlico Sound lagoon of modern North Carolina. In a letter to Francis I, Verrazzano wrote that he was convinced that the Sound was the beginning of the Pacific Ocean and this report caused one of many errors in the depiction of North America on contemporary maps. The continent was not fully mapped for hundreds of years, continuing to explore the coast further northwards and his crew came into contact with Native Americans living on the coast. However, he did not notice the entrances to Chesapeake Bay or the mouth of the Delaware River, in New York Bay, he encountered the Lenape and observed what he deemed to be a large lake, which was in fact the entrance to the Hudson River. 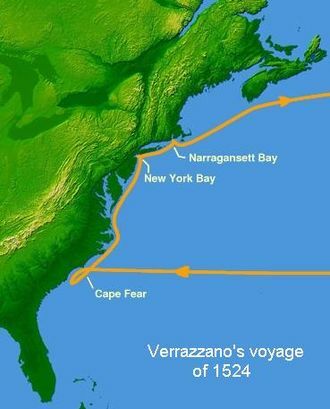 He sailed along Long Island and entered Narragansett Bay, where he received a delegation of Wampanoag, the words Norman villa are found on the 1527 map by Visconte Maggiolo identifying the site. Historian Samuel Eliot Morison writes, this occurs at Angouleme rather than Refugio and it was probably intended to compliment one of Verrazzanos noble friends. There are several places called Normanville in Normandy, the main one is located near Fécamp and another important one near Evreux, which would naturally be it. West of it, conjecturally on the Delaware or New Jersey coast, is a Longa Villa and he stayed there for two weeks and moved northwards. He discovered Cape Cod Bay, his claim proved by a map of 1529 which clearly outlined Cape Cod and he followed the coast up to modern Maine, southeastern Nova Scotia, and Newfoundland, after which he returned to France by 8 July 1524. The dunes on Sandy Neck are part of the barrier beach that helps prevent coastal erosion. 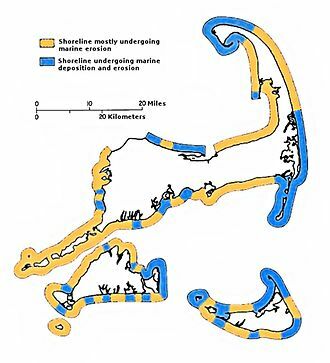 Coastal erosion by wave action (colored buff in this map) brings growth elsewhere by deposition of transported sediment (shown in blue). Clinton Folger, mail carrier for Nantucket, towed his car to the state highway for driving to Siasconset, in observance of an early 20th-century ban on automobiles on town roads. 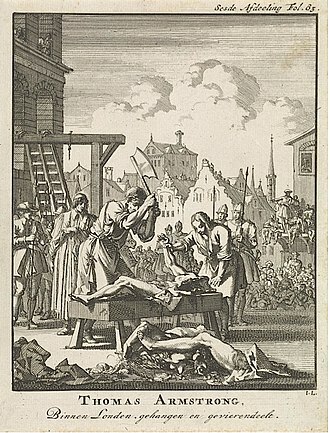 Captain Kidd, gibbeted, following his execution in 1701. Illustration by Howard Pyle showing Endecott defacing the English flag. Pyle has incorrectly depicted the flag as a Union Jack, when the flag at the time only contained St George's Cross.